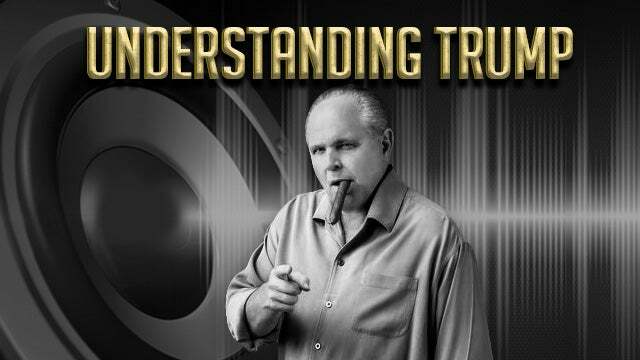 RUSH: You know on the tariffs… One thing about the tariffs, if I can go back to the tariffs, I actually have a different take on these tariffs. And again, it’s based on my understanding of Trump. And I’ll say it again. I don’t think there is anybody in the media better at translating or comprehending or understanding Donald Trump. They’re journalists, and they’re not even curious to find out who the guy really is. They’ve already got it figured out. He’s every bit of despicable that they can conjure. So let’s look at these tariffs. I look around, I pay attention to official analysts that the cable news finds and trots out as experts, and I read other people who are ostensible experts — ideological, economic, philosophical, whatever. They’re experts, and they are analyzing Trump and the tariffs movement, and they’re all caught up… They’re all caught up in the same stuff. They all look at it the same way and say it the same way. They look at it as a very bad move economically. They think it’s very out of sync with other Trump policies, even though it’s in sync with his trade policy and something he’s been consistent on since his campaign began. 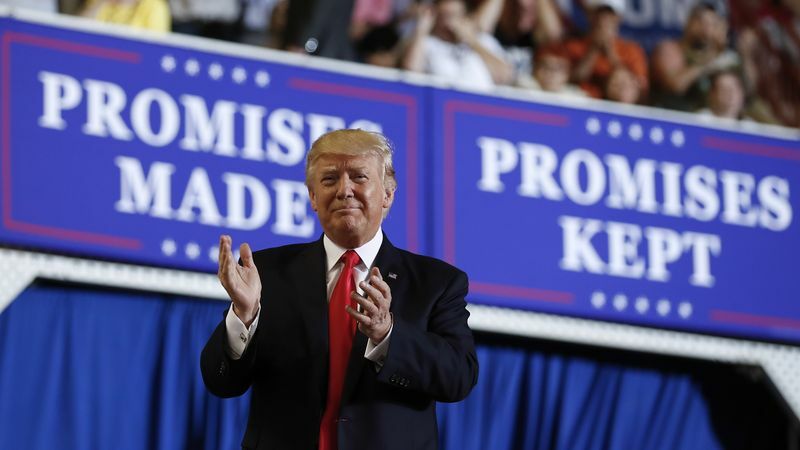 It’s one of the early campaign promises is to impose tariffs on certain industries to level the playing field and give the advantage to America and Americans, American workers. He’s followed through on it. But his critics can’t see beyond their own limited scope of monolithic thinking which is tariffs are bad, trade wars are bad, it’s not good, and Trump therefore doesn’t know what he’s doing. Trump is dangerous. Trump poses a great threat. Trump has to go. You know the drill. And they seem to have no clue. They don’t seem to be asking, why would Trump want to do this? They don’t think Trump is deep. They don’t think Trump is contemplative. They think Trump is a narcissist who cannot focus and doesn’t have an attention span, and, as such, they don’t think of him as a strategist. He’s not a strategist. He doesn’t stay focused on one thing long enough. In their view, he’s mentally incapacitated. Sadly, the poor guy just doesn’t have the brains, doesn’t have the intellect. He’s just not able to keep up with the real brains and the astute leaders of the establishment. And, as such, he poses a great threat and a great risk to the order of the world that has been established by the really smart people. So let’s ask, since they don’t. Trump just passed a significant, major, across-the-board tax cut. It may impact 90% of the American people. And I wasn’t lying earlier. The Democrats in the Senate are actually working on legislation that would cancel some of those tax cuts in exchange to be able to use the money for infrastructure projects. These are the people that supposedly care about other people. The Senate Democrats are actually working on a way to eliminate some of the tax cuts for some of the people who got them so that the money can stay with the government and be used by the government ostensibly for infrastructure repair and rebuilding. But why would Trump pass a massive tax increase which is going to benefit him and the Republican Party monumentally, why would he then pass essentially a tax increase which experts say is going to really harm the average American little guy by making things more expensive? Automobiles, things made with steel, aluminum are gonna get more expensive, and Trump is now basically taking away their tax cut by imposing this tariff. Why would Trump do this? Well, indeed, why would he do that? And that’s where the experts and the brainiacs stop asking and just conclude that Trump’s an idiot. He’s a doofus. He doesn’t know what he’s doing. And that’s where they make their mistake. Why would Trump want to tax imports when those taxes could very well be passed on to consumers? Well, let me ask a question. And it’s a generic question, and the answer has its flaws, but I’m gonna ask it anyway. What does it matter what things cost if you don’t have a job? Now, I know there’s a caveat to that because we have so many unemployment benefits that you could say that the cost of things does matter even when you don’t have a job, but for the moment indulge me. What does it matter what things cost if you don’t have a job? With Trump, there are millions more people working than when he was inaugurated. With Trump, there are new jobs being created every month. With Trump, there are jobs in the manufacturing sector and other areas that Obama told us would never come back. Well, they’re coming back. And people are getting these jobs. People who were unemployed are getting these jobs. People who didn’t have any money are now earning money and, in addition, those people are paying less in taxes. The media will make mincemeat. But “Willllllburrrr” went out there and did it. Now, $125 added to a $25,000, 20,000, 18,000 car is peanuts, particularly when you amortize it into a monthly payment. It may be a nickel a month additional. So in the real world it is insignificant. It’s not gonna stop you from buying the car, but politically with Wilbur out there saying, “Hey, it’s not gonna matter that much, it’s just 125 bucks.” But even that didn’t stop Trump from doing all of this. Now, do you remember the jobs that were lost during the Obama administration, and do you remember where those jobs were? Well, let me give you a hint. We lost a lot of coal jobs, because Barack Obama targeted the coal industry. He was very honest about it when he ran in 2008. He said he was gonna put the coal business out of business. He was gonna make it prohibitively expensive to be in the coal business to the point that you wouldn’t be in the coal business. And the coal business suffered greatly, and people that mine for coal lost their jobs, ancillary jobs related, lost their jobs. Where are those jobs? Where are these mining jobs that Obama waved good-bye to? They happen to be in places like Ohio, Pennsylvania, West Virginia, Virginia. 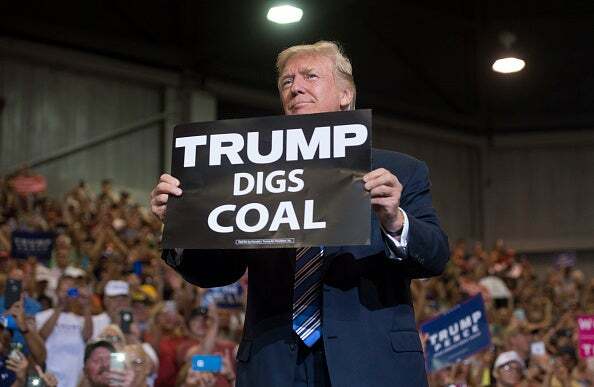 There’s a lot of voters in those states that the Democrats threw away ’cause the Democrats who care about people didn’t care about the people who worked in coal because their grand leader, Barack Obama, said we’re gonna put coal out of business ’cause it’s filthy, and I’d rather have windmills and solar panels and all that. RUSH: Okay. So these coal jobs that we got, we worked out an export deal with the ChiComs so coal, there’s a lot of jobs in Ohio, Pennsylvania, West Virginia, and Virginia that Obama had wiped out. Trump gets them back. There’s a lot of key voters there. These are swing states. Democrats have nothing with the people in these states. The Democrats, with Barack Obama, presided over the end of the coal industry and everybody that works in it knows it. 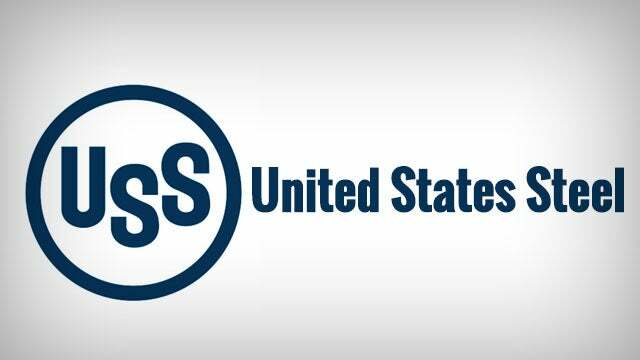 Now Trump is bringing back steel jobs, slapping tariffs on imported steel to prop up domestic steel. Do you know what one of the purposes of coal is? You need coal to fire the steel mills. Major steel mills — Ohio, Pennsylvania, Indiana, Illinois, Delaware, I mean, Colorado, if you look at where the steel industry is being revitalized by Trump, even despite the tariffs, and where the coal industry is being brought back by Trump, you’re looking at a whole lot of states the Democrat Party used to think they owned until the 2016 election. Aluminum jobs are growing. Where are those jobs? Well, I’ll just tell you. Aluminum jobs are in Ohio, Indiana, South Carolina, Texas, Kentucky, West Virginia, again, Michigan, Missouri, Washington, New York. Where are these jobs that Trump is bringing back? Where are they? They are in states that have traditionally been blue. Trump is simply continuing to back up, buttress, support the people who voted for him, as he told them he was gonna do before the election and he is continuing to do it afterwards. If you look at it this way, it’s not such a stupid thing.